The Arabian night tells a tale of a merchant who had been childless for 40 years and was cured by a concoction that included coriander. That story is over 1000 years old so the history of coriander as an aphrodisiac dates back far into history. Coriander has been used as an “appetite” stimulant. Its dried seed produce a euphoric effect, especially in women. The seed of the well known Coriandrum sativum is known as coriander. The coriander is derived from the Greek word koris. It means bedbug. This due the unripe seeds and leaves when crushed has a smell suggestive of a crushed bedbug. 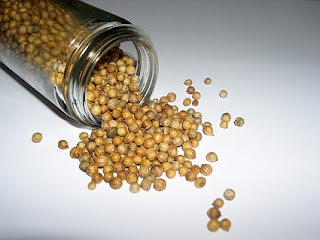 Coriander is used in condiments, dessert, liqueurs perfumes and candies. Generally it thought to be from Mediterranean and parts of southwestern Europe. It is believed to be sued since 5,000 BC. Ancient Egyptians and Greeks believed coriander had aphrodisiacal properties.